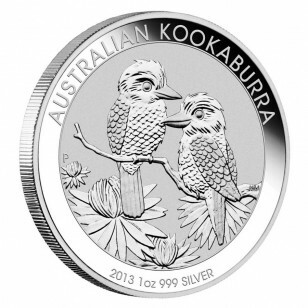 Silver Kookaburra coins feature a new design each year, making them great for collecting. This Silver Kookaburra coin features two juvenile kookaburras sitting on a tree branch amid flowers, designed by Natasha Muhl. The Ian Rank-Broadley likeness of Her Majesty Queen Elizabeth II and the monetary denomination are shown on the obverse. This beautiful Silver Kookaburra contains one full ounce of .999 fine Silver! 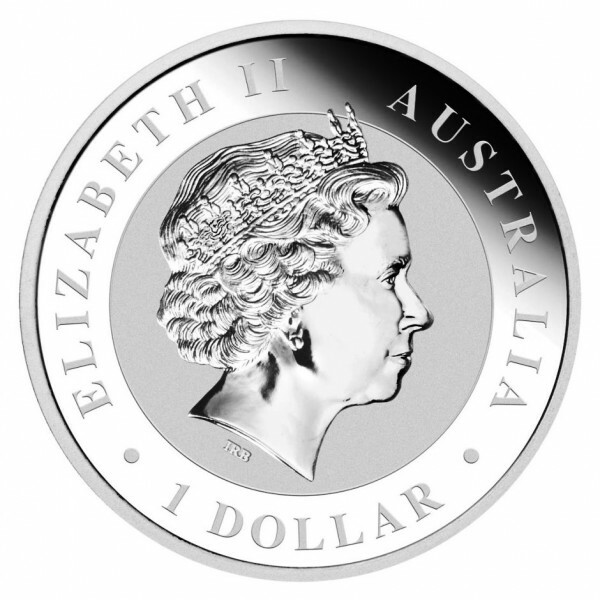 The Perth Mint has issued a strict mintage cap of 500,000 for these Silver coins, which means no more will be minted. Get yours while they are available! Coins come in a plastic capsule.